There was a special offer in tescos. 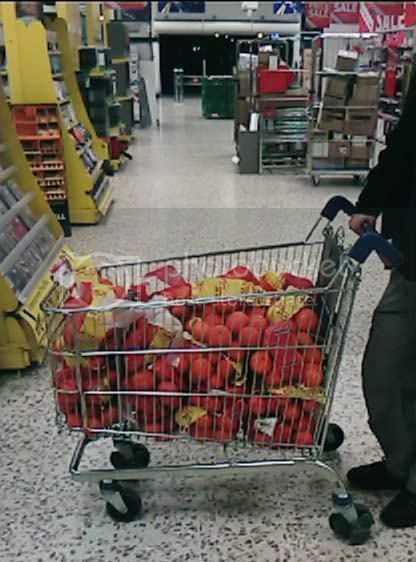 Just after christmas, A bag of clementines for 5p. Not wanting to turn down an offer such as this, we took full advantage. We later bought 56 tubs of cream, Came to about a fiver. Seemed a great deal. "What's the cheapest, most useless crap you've bought?" My girlfriend occasionally despairs when I arrive home with huge quantities of very cheap bananas/apples/whatever, but they (usually) get converted to chutney or jam (before too many of them have started going mouldy, anyway). Only thing I can think of for the cream is maybe making fudge - though whether 56 batches of fudge are any less useful than 56 tubs of cream I'm not sure. Gets a click and a boat-load of frozen orange juice. are great for stuff like this. at the end of the working day the traders invariably flog a box of stuff for a quid or so.